Vijaywada based airlines, ‘Air Costa’ has approached Bhubaneswar airport to start operations in March 2015. Sh. Sharad Kumar, Airport Director, informed ONI that efforts are being made to bring more and more airlines to operate from Bhubaneswar so as to have more opportunities and competitive rates for the passengers as well as more flexibility in the timing. Initially Aircosta will have two flights daily, directly connecting Bangalore with Bhubaneswar. On the other hand, considering its present financial state, crisis hit SpiceJet is unlikely to begin operations from the city airport. Last year, the airliner had shown interest in starting an air service from the city and had even installed its step ladder for passenger disembarkation. Airport director , Sh Sharad Kumar said to ONI—- “Given the kind of financial crisis the carrier is facing, we do not think we will invite it to Bhubaneswar. We will ask it to take back its ladder as it is taking up space at the airport.” He also added that since Jet Airways withdrew its operation from Bhubaneswar in October 2013, many low-cost airlines have had made approaches . “There will not be a shortage of fliers even if SpiceJet doesn’t come here,” said the Director. 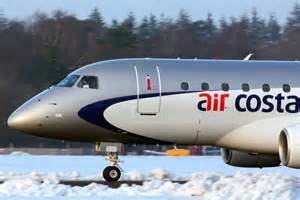 Apart from Air Costa, ABC Airways, Air Asia and Deccan Charters are some of the low cost airlines who have evinced interest . Initially, the authorities had hoped that at least four SpiceJet flights would operate in the domestic sector from Bhubaneswar. According to reports, SpiceJet is apparently losing about Rs 2 crore every day because of cancellation of flights. SpiceJet was keen to operate its flights from April this year after the Odisha Government had slashed the value added tax on Air Turbine Fuel in November 2013. But it is only logical that the airport authorities take the performance of the airlines into account before allowing them to start operations. Jet Airways had abruptly withdrew its flights citing losses. Sharad Kumar had also recently asked Air Vistara to start domestic operations from Bhubaneswar.This decision was taken emboldened by the success of Go Air, which began operations in Bhubaneswar a month ago with four flights. With the Go Air flights in operation , the total number of flights flying f rom the city is now 20. However, Vistara is yet to get flying approval from the Director General of Civil Aviation. 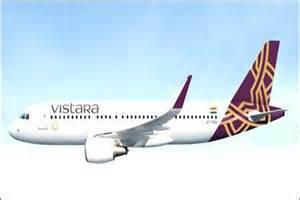 Vistara Chief ,Rajive Malhotra said that they are ready to operate from Bhubaneswar and other cities once the DGCA approval comes.Vistara is a joint venture between Tata Sons Ltd and Singapore Airlines and it uses aircrafts that burn less of aviation fuel. Meanwhile, regional carrier ‘Air Odisha’ has postponed its launch from Biju Patnaik Airport till January’2015. It was earlier scheduled to start operation by November –end. The Air Odisha service will connect the state capital with Jeypore, Rourkela, Jharsugda and Sambalpur. The state has approved slashing of the night parking and landing charges but issues related to ambulance and fire tender services still remain, as far as start of Air Odisha operations is concerned. The ‘International ‘ tag though still continues to be a misnomer as far as the Biju Patnaik Airport is concerned. The long wait is on to see any concrete International operator to loom in the horizon. Central Aviation Minister , Asok Gajapati Raju , has been requested by political leaders of the State , not to use Bhubaneswar Airport only as a stop-gap destination for International carriers. Meanwhile, just to give another short- burst inkling and the stop-gap feel of ‘International’ ,a chartered non-scheduled flight (Aircraft type-GLF4) bearing registration number CFORB of Canada carrying two passengers and three crew members , all of Canadian nationality, visited Odisha through the Biju Patnaik International Airport, Bhubaneswar on 4th of December. The chartered flight originated from Toronto Airport in Canada and reached New Delhi on 2nd of December. On 4th morning, the flight landed at Bhubaneswar International Airport and departed for Dubai in the afternoon on the same day .The chartered flight was operated by M/s Freedom Air Services with ground handling facility by IFOS. It is pertinent to mention here that two previous instances of so-called ‘International’ flights to B.P.I. Airport were both in the month of May this year .The first came from Spain en route to Osaka , Japan carrying 12 passengers that stopped over in Odisha for 3 days after visiting Rajasthan and the second one carrying 4 passengers from London ,who had also dropped into Odisha as part of their India tour.